A civic reception in Stockport has honoured a steam train driver who sacrificed his life on a runaway train to save others over 60 years ago. John Axon was posthumously awarded the George cross for his actions, which were later immortalised in a BBC programme called the ‘Ballad of John Axon’ - performed by folk legends Ewan MacColl and Peggy Seeger. And to commemorate the 60th anniversary of its broadcast and publication as a record, Peggy attended a civic reception at Stockport Town Hall along with members of Axon’s family and his colleague Wilf Wood. 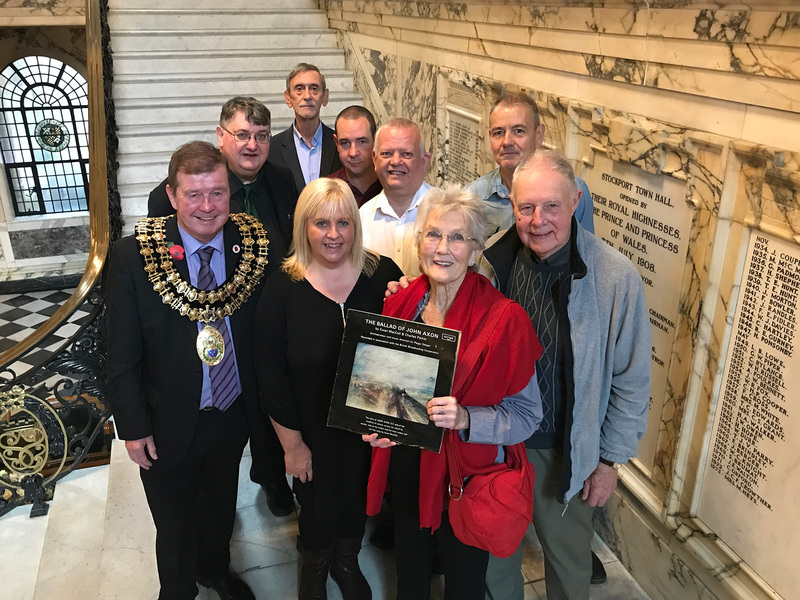 The Mayor of Stockport, Cllr Walter Brett, said: “It was an honour to put on a Mayoral reception to respect not only the ultimate sacrifice by John Axon, but to also honour the broadcast of the record produced by Peggy Seeger. "To hear Peggy speak about the recording whilst meeting Axon's family members is a moment I will not forget in a hurry." Councillor Kate Butler, Cabinet Member for Economy and Regeneration, said: “I was delighted that the Mayor of Stockport welcomed Peggy and family members of Axon and Wood in this poignant anniversary year and in memory of such a brave and heroic train driver. John died in 1957 as his train collided with a freight train heading towards Chapel-en-le-Frith. The collision also claimed the life of John Creamer who was the guard on the freight train. The accident occurred following a brake line split, and had it not been for John staying with the brake footplate, his train would have collided with a third train full of passengers, including school children.